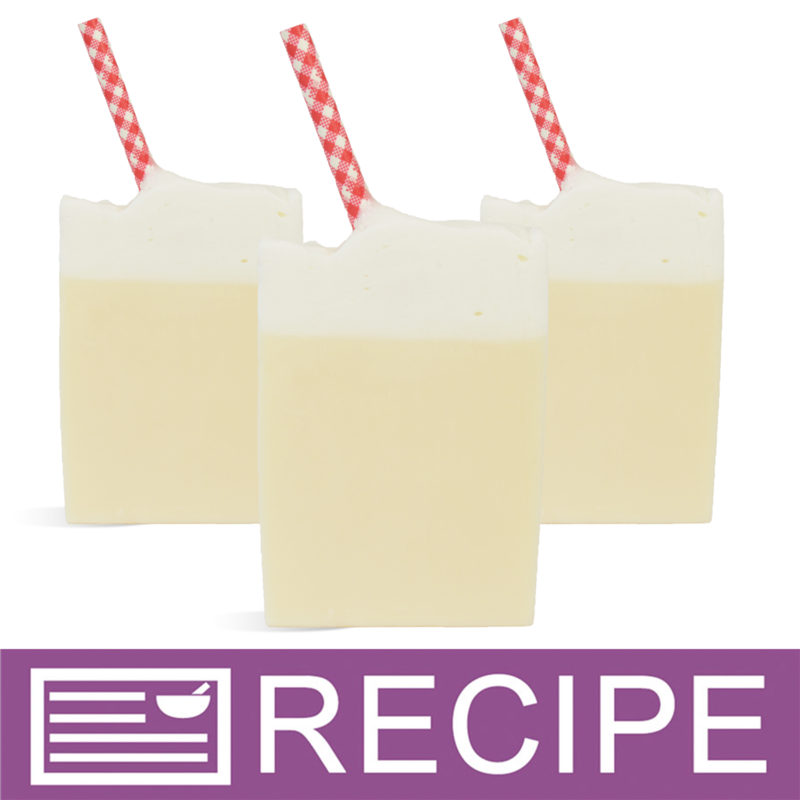 This melt and pour soap recipe creates tall and skinny bars of soap that resemble vanilla milkshakes! 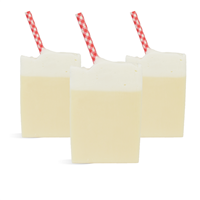 The bars are scented with a sweet vanilla fragrance and topped with a fun picnic looking straw. Melt 32 oz. soap in microwave until melted. Mix fragrance and vanilla color stabilizer in beaker and allow mixture to sit for two minutes. Add fragrance and color to melted soap and mix well. Pour into mold and allow soap to harden. Melt 12 oz. soap and whip with hand mixer. When soap is 120ºF or cooler, spray the soap in the mold with rubbing alcohol and pour the whipped soap. Allow the soap to partially harden. Cut straws in half. 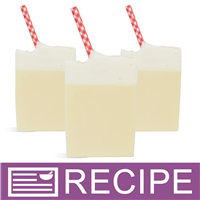 Use a ruler and place the first straw ½” inch from the edge of the mold into the melted soap and space the next straws each 1” apart. Allow soap to fully harden. Remove soap from mold and slice into bars. Wrap soap in plastic wrap. Ingredient Label: Sorbitol, Coconut Oil, Propylene Glycol, Stearic Acid, Water, Sodium Hydroxide, Glycerin, Titanium Dioxide, Fragrance, Fluorphlogopite, Iron Oxide.